Before the YSL Downtown bag was even on my radar, a few years ago I was on a YSL mission. I found this beautiful wallet and couldn't part with it. The turquoise stitching and incredibly dark navy blue patent leather makes this piece something unique in any collection. 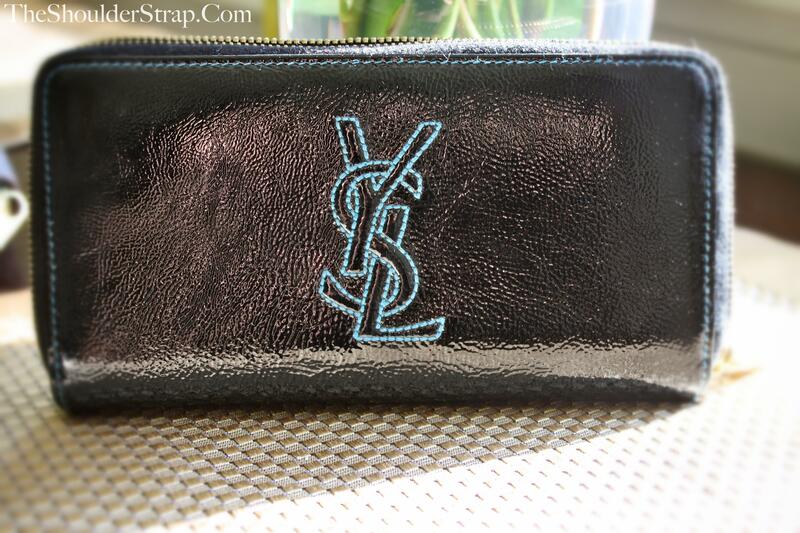 YSL has a variety of wallets with great color combinations, so if you haven't explored, I definitely encourage you to do so! Any favorite YSL pieces? Let us know!